A stampede of hungry adolescents tumble over each other to get to their favorite food. I hobble behind them, aching under my armpits as the crutches dig into my sides and fall into small ditches in the grass. I don't rush for the pizza, but simply make my way to a chair at the picnic table in my friend's backyard. Since I am shorthanded from recent foot surgery, my mother brings two slices over. Immediately excited by the hot, cheesy pizzas, I folded the slice and had the hot marinara and heavy grease drip down my little hands, inspired me even more to dig in. Parents left us to eat without them as we chatted about popular preteen topics: Spongebob, Nintendo, Jesse McCartney, among other things. Before I knew it, I was staring at an empty plate. I waved over to my mother to ask her for more. Her eyes dropped, heartbroken that she would have to say 'no' to her 11-year-old daughter. I was disappointed, but somewhere in the back of my mind I knew that this was best decision for me. I had to make the right choices to be healthy again. Three months before this gathering, I underwent foot surgery and the recovery was the scariest time of my life. The preparation for surgery was four months with trips back and forth to the doctor for x-rays, check-ups and practice on crutches. Immediately after the surgery, I was woozy, lightheaded, and for months I couldn't take care of myself. I had a growing need for independence. As a pre-teen wanting to be an adult, I didn't enjoy my mother bathing, feeding and dressing me. Yet living through this recovery shaped my self sufficiency in ways I never imagined. Luckily, by the time school started, I could move around a lot more on my own. Unfortunately, when I wasn't studying mathematics, I was eating. I had always had problems with portion control. My parents' sympathy for their temporarily incapacitated child made my condition worse. They made dinner plates overwhelmed by rice, vegetables and unreasonably large amounts of protein. I eventually decided I had to take charge for the benefit of my health, and I sought help from my doctor. After a stern conversation with my pediatrician, my parents and I made decided to make major changes to my diet. I used my time sitting on the couch wisely by reading health magazines and researching healthy foods online. My life was on the verge of change. I scrolled through several magazines with my leg propped up as I viewed pictures of healthy women accompanied by stories of finding healthier lifestyles. As I read, I desired to make similar journeys. I wanted to be one of the women encouraging people to embrace healthy lifestyles. I still remember important discoveries. I learned about unhealthy elements of my family's diet, such as the abundance of white rice that was habitually eaten in my household, but not anymore--thanks to my research. I also struggled with physical therapy and the fear that I might never be able to walk properly again. The gluttonous beast inside me wanted more food, but I fought against it by eating smaller portions. I fought hard at physical therapy and after about a year, I was walking without a limp or any pain. This fight against my physical circumstances greatly influenced my choice of career. 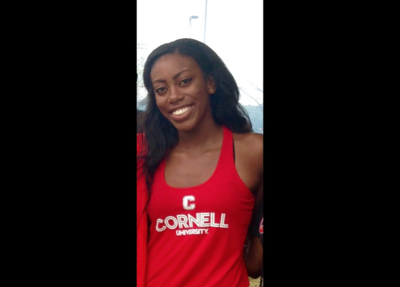 I built a passion that drove me to bioengineering, which combines so many of my passions-- math, health sciences, and a genuine concern for the well-being of others. I spent my subsequent summers in programs introducing me to the world of bioengineering. Just as I have continued to make the right choices in living a healthy lifestyle, I know a career in bioengineering will offer the opportunity to influence others in immeasurable ways. 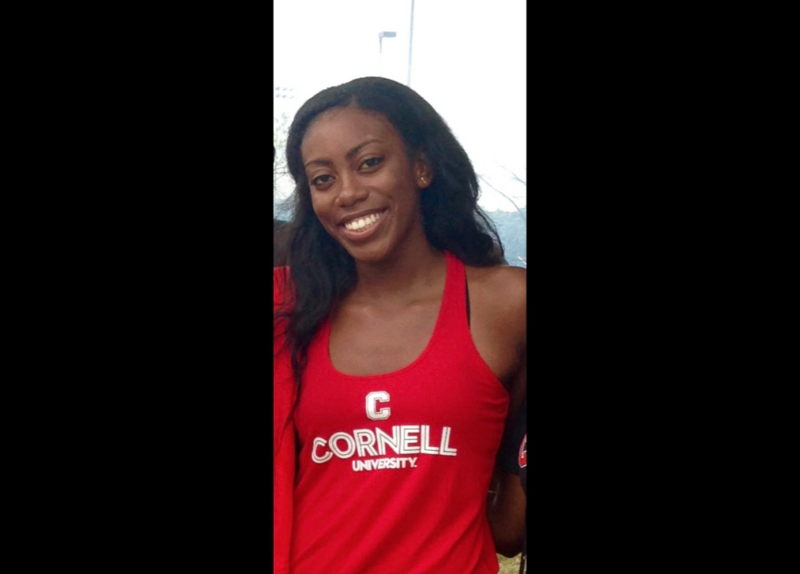 Catharyn Watts-Battey, a freshman at Cornell University, is a 2015 graduate of Newfield High School.